Ce condo de luxe dispose d'une des meilleures vues de Marathon où vous pouvez voir des couchers de soleil ne se trouve que dans le paradis. Son tranquille et beau vous passerez des jours paresseux sur cette projeté dans le patio. Il ya 3 chambres spacieuses. On a une salle de bain complète et un lit king Simmons Beautyrest confortable. La chambre attenante a un grand lit confortable et la troisième chambre a 2 lits jumeaux en peluche confortables. Profitez de l'aide de la Faro Blanca Yacht Clubs belle nouvelle piscine vient de construire à côté de la copropriété. The condo is large with a wraparound lanai. The mgr, Sue, was very helpful when there was a TV problem. Many lovel yachts in marina. Walk to Lighthouse Grill for fab early dinner prices! 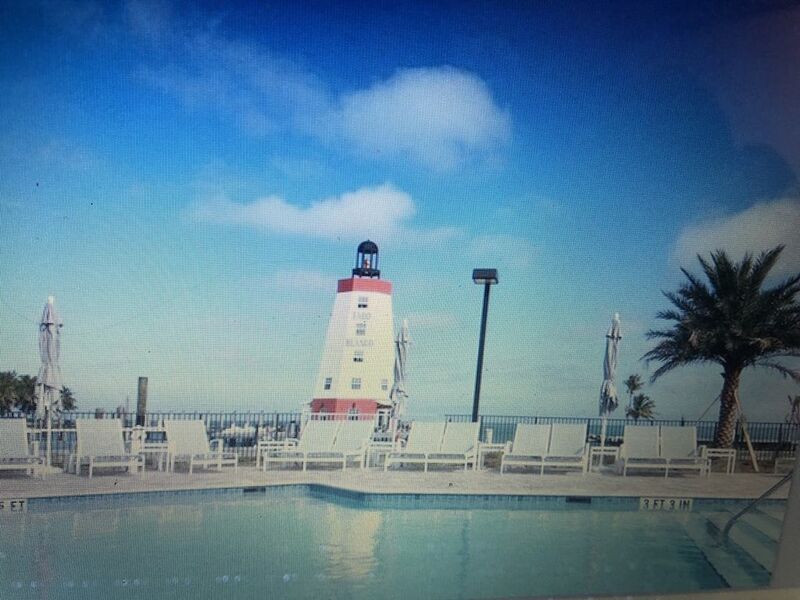 The location was perfect for walks to pool and marina. The condo was accessible. We would stay here again. Thank you for taking the time to review this beautiful home. We try hard to make sure our guests have a comfortable and enjoyable vacation. Please come again and tell your friends. I've found that there is typically at least one thing wrong with every place I stay at. Sometimes very minor problems that do not affect my stay and sometimes major issues that need to be addressed. I can't say the same for this place. I have zero complaints. The location was perfect for easy access to the gulf during lobster season, the inside of the condo was really pretty, the view from the huge porch was perfect, and the appliances all worked well. The condo was also very clean. We will definitely stay here again. Thank you for the wonderful review. We try hard to make sure our tenants enjoy their vacation and its always great news to have a 5 star review. This only can happen when there is a team effort by our property manager, maintenance man and maids. We hope to see you again soon. Our stay was fantastic, as usual with John. We have used John's properties for our visits to the Keys multiple times and we have stayed in five different units, all of which are first class. The arrangements are easy to make and the stay always exceeds expectations. Highly recommended. Great value. Great locations. Great facilities. WOW What a View!! First Class Condo!! This great condo had the best ocean view from a large screened in porch. It was very spacious with a huge living room with a flat screen TV and connecting dining area. We stayed the master bedroom that had a comfortable king bed and a huge his and her bathroom. We could walk onto the porch from our bedroom and enjoy coffee in the mornings watching the sunrise. The Faro Blanca Yacht club was included and it was a 2 minute walk . It had a large heated pool with a great outside bar. We loved this clean home and will be back.